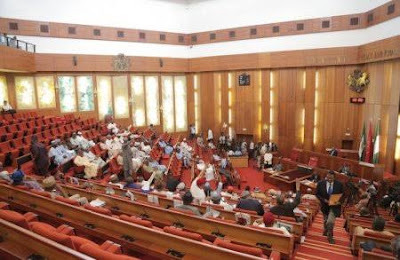 The Senate has rejected the nomination of two non-career ambassadorial nominees presented for legislative approval by President Muhammadu Buhari. The rejected nominees are Justice Sylvanus Nsofor from Imo State and Mr Jacob Daodu from Ondo State. The Senate on Thursday said the DSS report on the Ondo State nominee were negative. “She notes that when asked if he could perform his duty at that age, his response was "Ask Mugabe if age affects his job"
Deputy Senate President said the appearance of the nominee from Ondo State is 'contradictory.